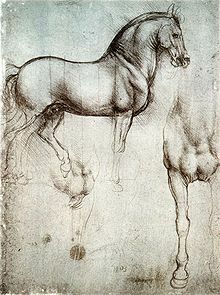 ^ Leonardo and The Horse. Da Vinci Science Center. [2015-02-25]. ^ 2.0 2.1 The Re-Creation of Leonardo's Horse. lairweb. [2015-02-25]. ^ The Mind of Leonardo. Brunelleschi.imss.fi.it. [2013-07-23].